Today is the start of a new year! Many of us make New Year’s resolutions in an effort to set the tone for the upcoming year. I personally don’t actually write a list and as the previous year ends and the new one starts I do think about what I might do differently – typically trying to identify one bigger goal and then a few smaller ones. I’ve learned to not be too ambitious in my resolutions. It’s better to have a few and be successful than a lot and become frustrated. A few years ago I decided to become healthier and started tracking calories, sugar intake, and embraced an exercise regime (amazing what a tv in front of you can do to ensure that you do spend 45 minutes exercising!). I’ve decided that 2015 will be the year of finally re-doing some walls in my house where the wallpaper has peeled (think bathrooms) or which after 20 years have never received a coat of paint beyond the original one. After Christmas we had a wallpaper stripping event and now those blank walls are calling to me. Besides personal resolutions, the start of a new year is also an opportunity to think about the research into our ancestors. What might we do? To be honest, since I’ve been doing genealogy research professionally, I haven’t researched my own ancestors in over 10 years. Ack! I was just talking with someone this week that I think it’s time to revisit an ancestor who stymied me at the time and see if I can learn more about her. She is Ida Rajala. She died in the influenza epidemic of 1918. What I know of her is documented here. I specifically would like to learn more about her from when she immigrated (1907) until her marriage in 1914. 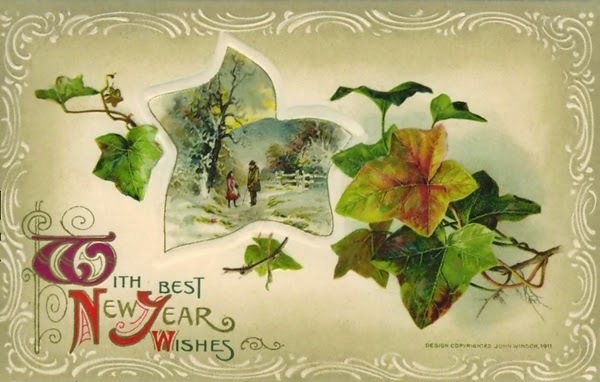 Crestleaf has shared its list, 15 Genealogy New Year’s Resolutions You Should Make for 2015 which includes attending this years NGS conference in St. Charles Missouri! Others genealogy research themed lists found include: 1. Patchoge-Medford Library (NY), 2. GenealogyBank, 3. What's Past is Prologue, and 4. jerseyrootsgenealogy. These might inspire you to create your own list. Are any of these on your 2015 list of resolutions? What would you also list?